J.D. 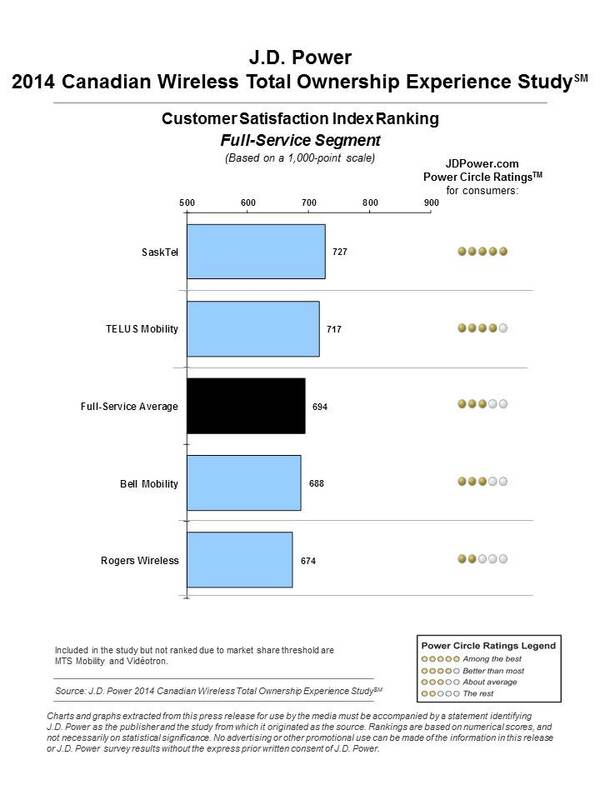 Power released its findings from the 2014 Canadian Wireless Total Ownership Experience Study today, revealing that Canadians are paying less for wireless service and are more satisfied with their carriers. 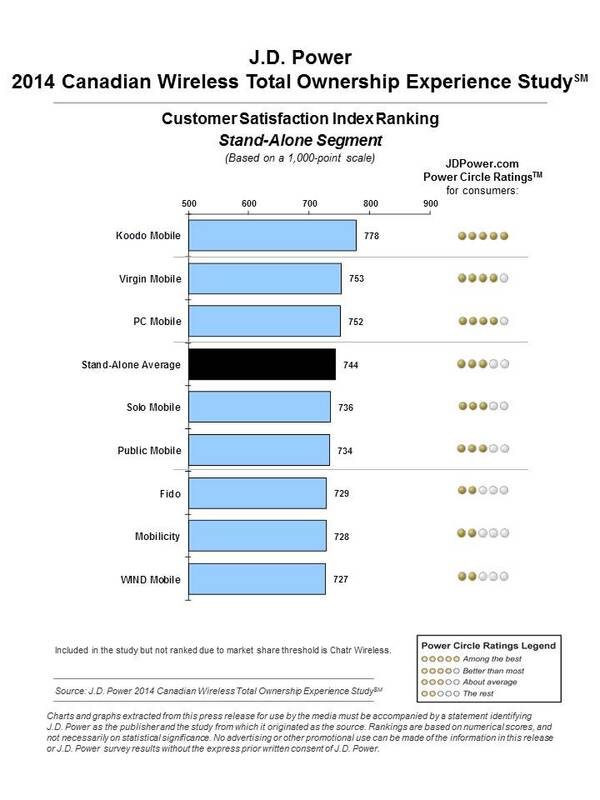 There are over 30 million wireless subscribers in Canada, but these findings were based surveys with around 12,500 subscribers between October 2013 and March 2014. According to the study, Canadians are paying $5 less per month than last year: $76 vs. $81. In addition, 32% of customers have signed up for 2-year contracts, leading to much higher satisfaction levels than those on 3-year terms. This was mainly caused by the CRTC’s implementation of Wireless Code of Conduct and a reduction of roaming rates. Smartphone penetration is reportedly sitting at 73% now, up 10% over last year. The likely decline of monthly cost is from lower overage charges, as most 2-year contracts include unlimited national calling and texting, along with lower roaming rates for travel.